MRI (Magnetic Resonance Imaging) is a diagnostic imaging procedure that uses radio waves to take detailed images of human tissue. The advantage to having a MRI is that it uses radio waves, instead of X-Rays, so there is no exposure to radiation. Once the patient is ready for the MRI, a device called a coil is placed over the area to be imaged, and the procedure begins. A chest, abdomen or pelvis MRI provides information on the heart and lungs, abdomen and pelvis that could not otherwise be detected from an x-ray, ultrasound or computed tomography (CT) scan. What type of equipment is used for an MRI? 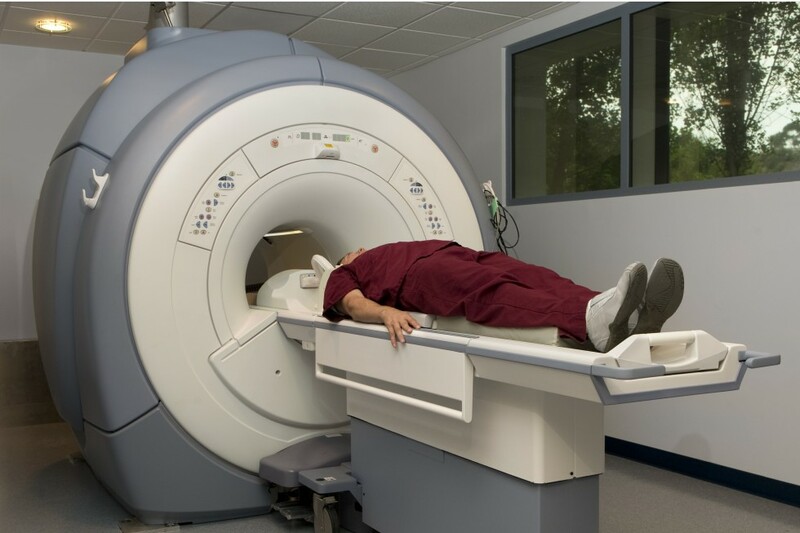 An MRI can be performed in either a closed or an open MRI scanner. A closed scanner requires you to lie in a cylinder-like compartment. An open MRI is ideal for claustrophobic, pediatric, elderly, and large patients. This MRI procedure uses a scanner that is less confining. Both types of scanners can provide your physician with accurate and detailed images of your body. How should I prepare for my MRI? On the day of the MRI procedure, wear comfortable clothing and try to relax. Before the MRI procedure begins, you will be asked if you have any metal medical equipment in your body such as a pacemaker, intrauterine device (IUD), implanted port, or infusion catheter. Due to the strong magnetic fields created by MRI, these devices may interrupt the MRI procedure. Also, make sure to notify the technologist if you might be pregnant. 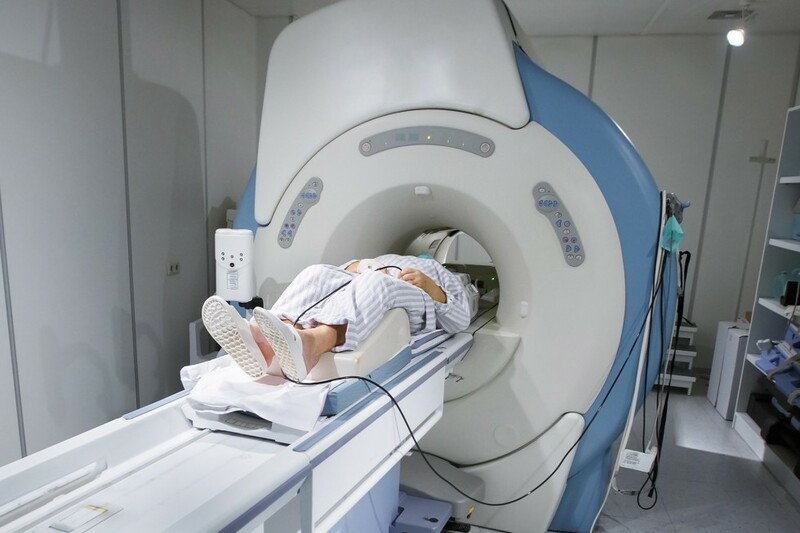 Before the MRI begins, you will also be asked to remove any metal jewelry or metal external objects as they may interfere with the procedure. How is an MRI performed? You will be asked to lie in the appropriate position on a cushioned table. A device called a coil will be placed on the area to be scanned. Coils are antennas used in every scan to help image the area of interest. Different coils are designed for different parts of the body and will conform to your shape as you are being imaged. You will not experience any discomfort from the coil. After you are positioned, the table will move under the magnet. The radiologic technologist will leave the room once the procedure begins to control the equipment and perform your scan. You will be able to communicate with the technologist through an intercom during the procedure. The machine will make a slight rapping sound as the images are being taken. In between scans the machine is quiet. The process takes between 30 and 45 minutes and is painless. Will I experience any side effects from an MRI? In some cases, your physician or the radiologist may request a contrast agent (dye) be used to improve the quality of the images. The agent is designed to make organs and blood vessels more visible, and will likely cause no side effects. You may experience a metallic taste in your mouth and in rare cases you may experience more serious side effects. The technologist can answer any questions about possible side effects. How will I get the test results for my MRI? The results of your MRI are read by the board-certified radiologists of Professional Radiology, Inc. A detailed report will be sent to your referring physician within 24 hours.